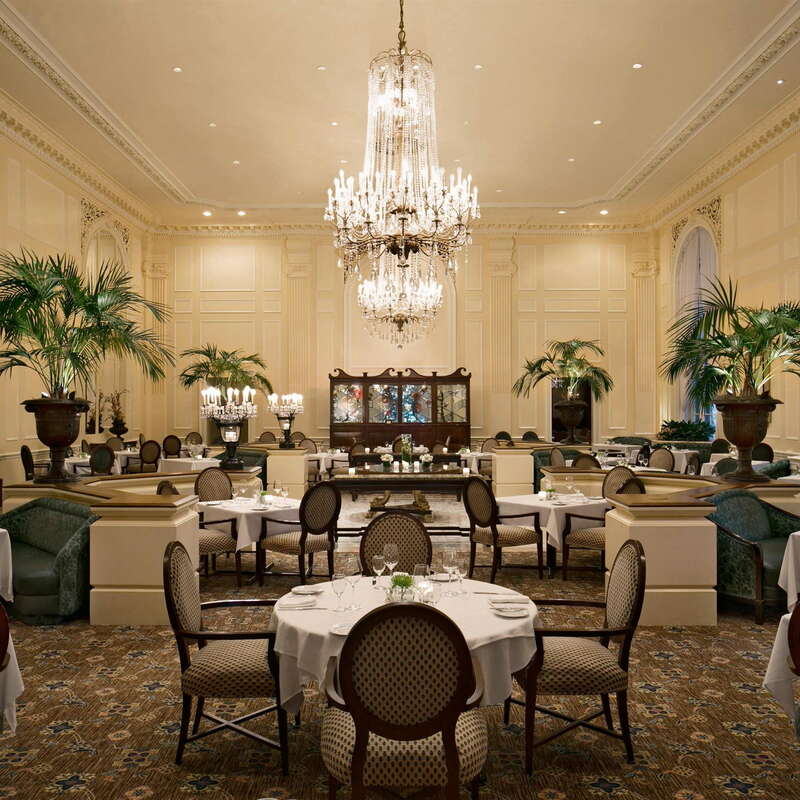 A Seattle landmark since 1924, the Fairmont Olympic offers refined luxury and top-notch customer service. No wonder it attracts a fiercely loyal clientele, who also appreciate its prime Downtown location, many amenities, and timeless glamor. 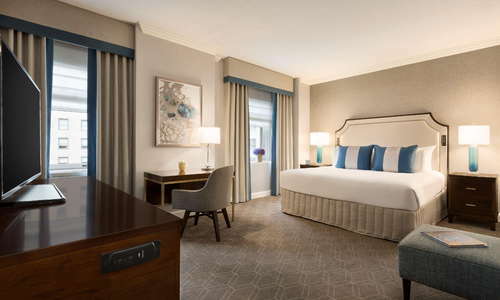 The 450-room hotel’s Italian Renaissance architecture and stately lobby honor its grand-dame past, while the guest rooms recently received a major modern refresh. 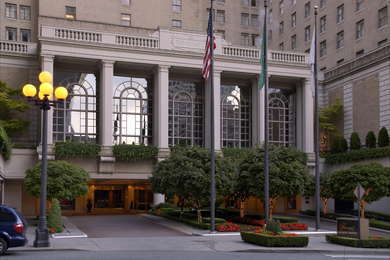 The Fairmont Olympic, which is listed on the National Register of Historic Places, was built on the original site of the University of Washington’s first campus as part of the city’s push to bring a world-class hotel to Seattle. Following a contest held by the Seattle Times, it was named The Olympic, and to attract the high-society set, no expense was spared. 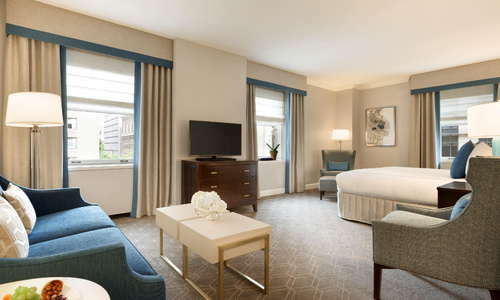 Many famous guests have rested their heads at the hotel, from presidents and princes to Hollywood royalty. YOU SHOULD KNOW Valet parking runs $55 a day, which is on the high end even for notoriously spendy Downtown Seattle. 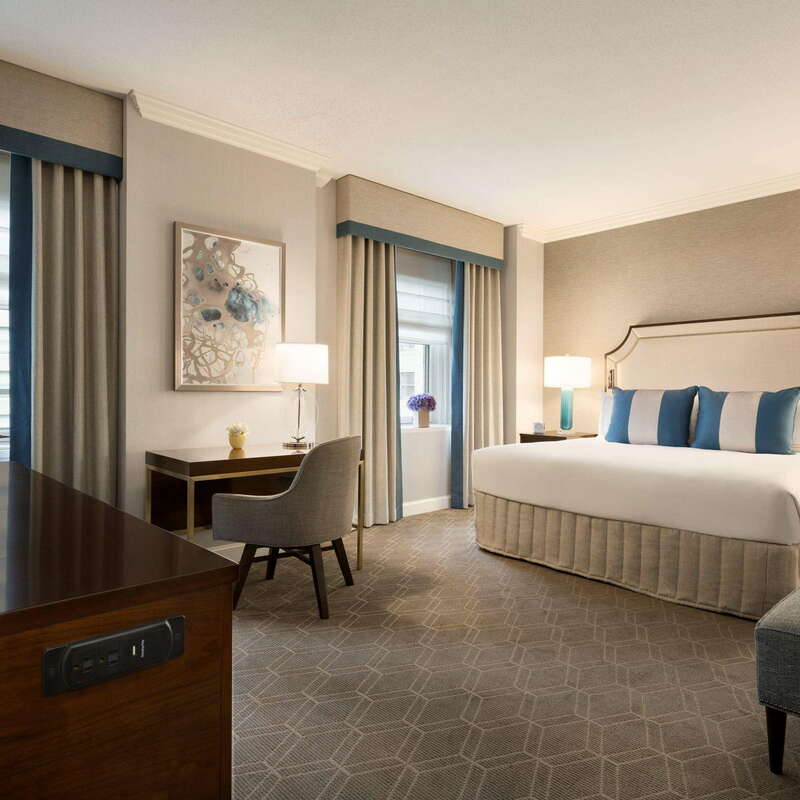 The hotel's pet-friendly policy only extends to animals under 40 lbs and costs an additional $40 per pet per day for cleaning. 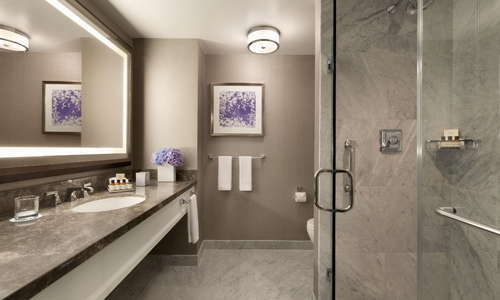 In 2016, the hotel completed a $25-million renovation of its guest rooms with midcentury-inspired furnishings, contemporary art, and a palette of shimmery gray and tourmaline that nod to the natural colors of the Puget Sound. 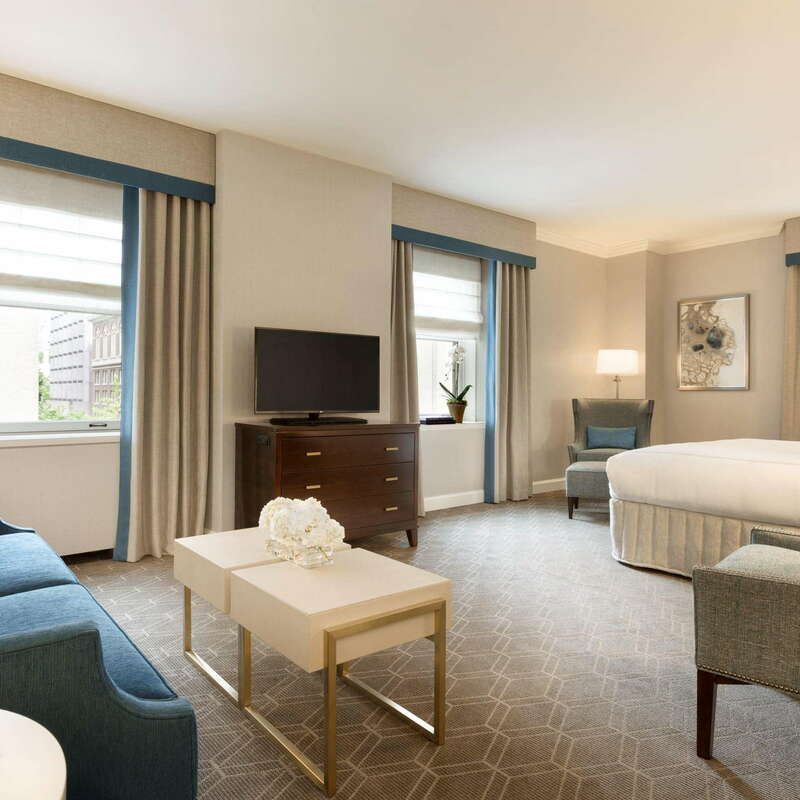 While some longtime Fairmont fans preferred the more classic décor, which included overstuffed chairs and touches of chintz, others think the fresh style is a perfect fit for the famous hotel. The suites, featuring sliding barn-style doors, are especially on trend. 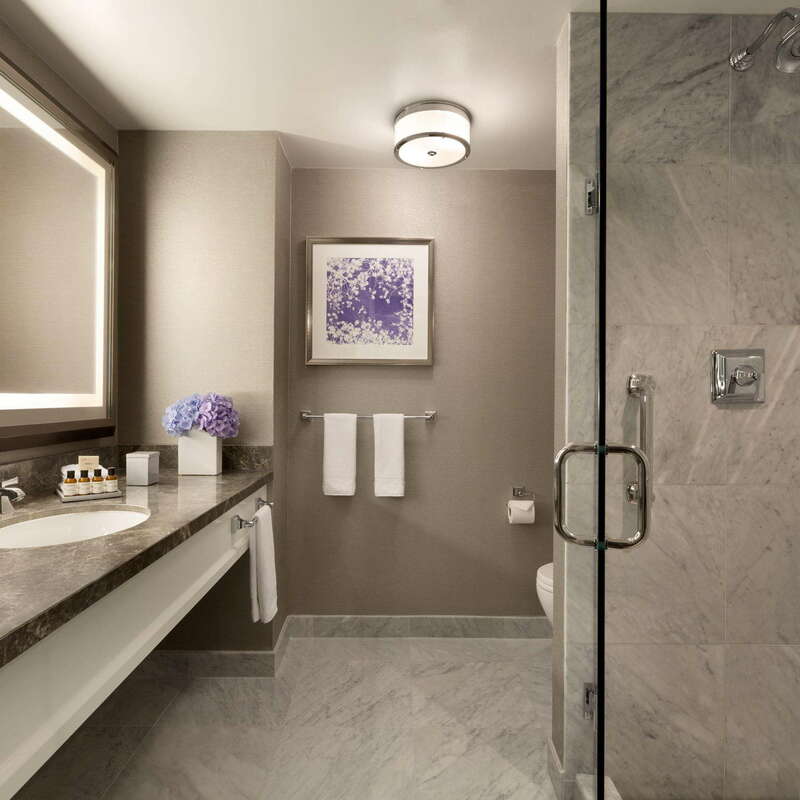 Spacious and elegant marble bathrooms feature a state-of-the-art rain shower and high-end toiletries from the cult-favorite fragrance line Le Labo. 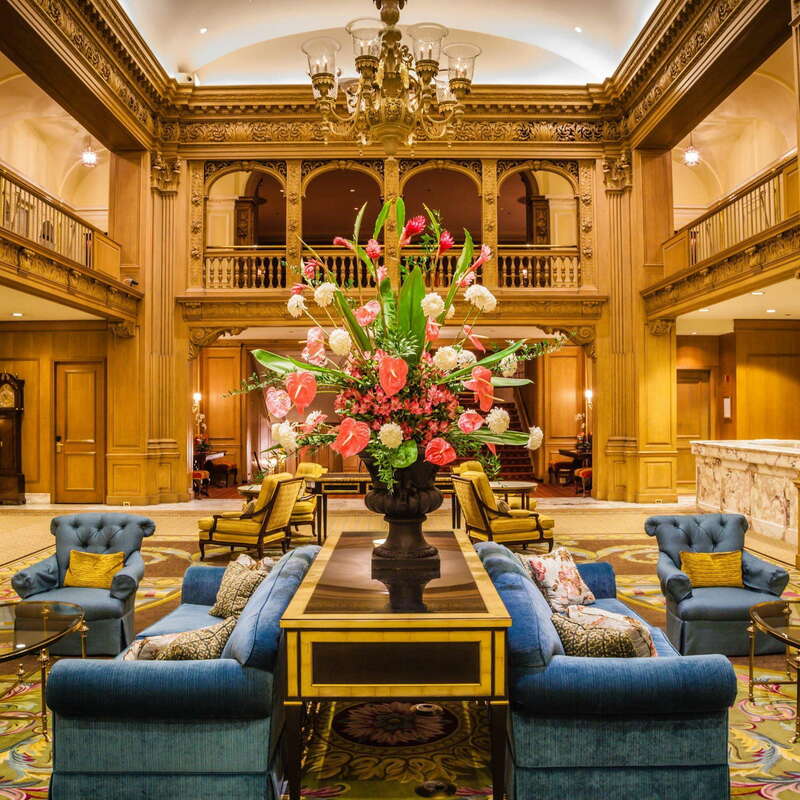 Grand and glamorous, the hotel’s ornate lobby is a sight to behold, from the huge chandeliers to the elegant spiral staircase. 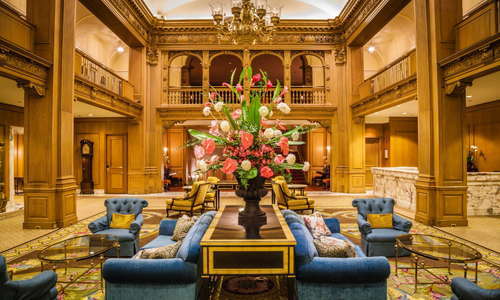 Stately columns, intricate woodwork, and traditional furniture abound--the lobby’s architecture is ideally suited for the Old World opulence of a bygone era. With plenty of comfortable seating, it’s a wonderful place to perch for people watching. 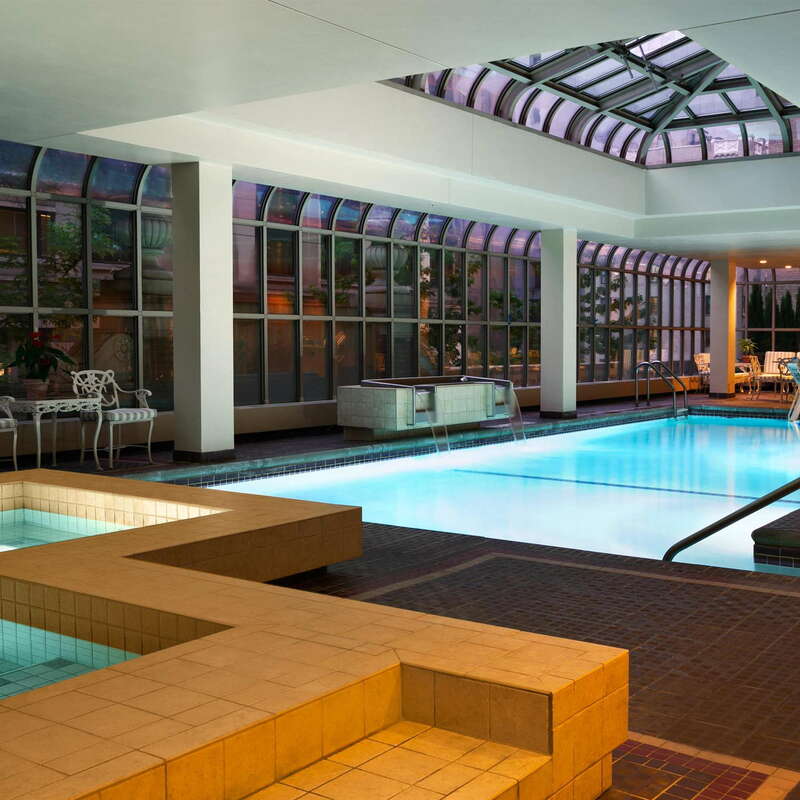 The hotel's health club features a 42' x 16' indoor heated swimming pool, and a 20' x 14' spa whirlpool. 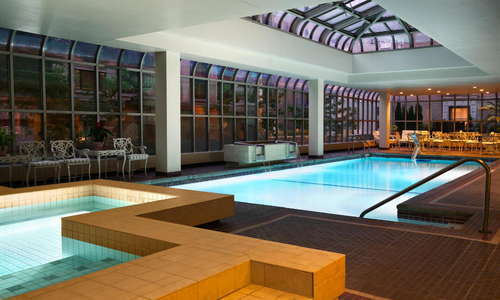 The pool facilities are covered by an enclosed solarium that is opened during the summer months. Goggles, swim caps, and bathing suits are available for purchase. Though not part of the hotel, guests can get pampered at the posh on-site Penelope & The Beauty Bar, which offers spa and beauty services. The 10,800-square-foot Health Club includes a large gym with state-of-the-art treadmills, bicycles, elliptical machines, and Kinesis Technogym weight machines. 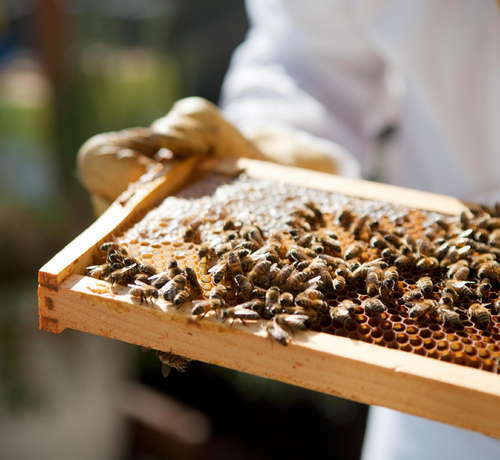 The facilities include men's and women's locker rooms with showers and dry saunas, as well as amenities like bathrobes and morning coffee and tea service. 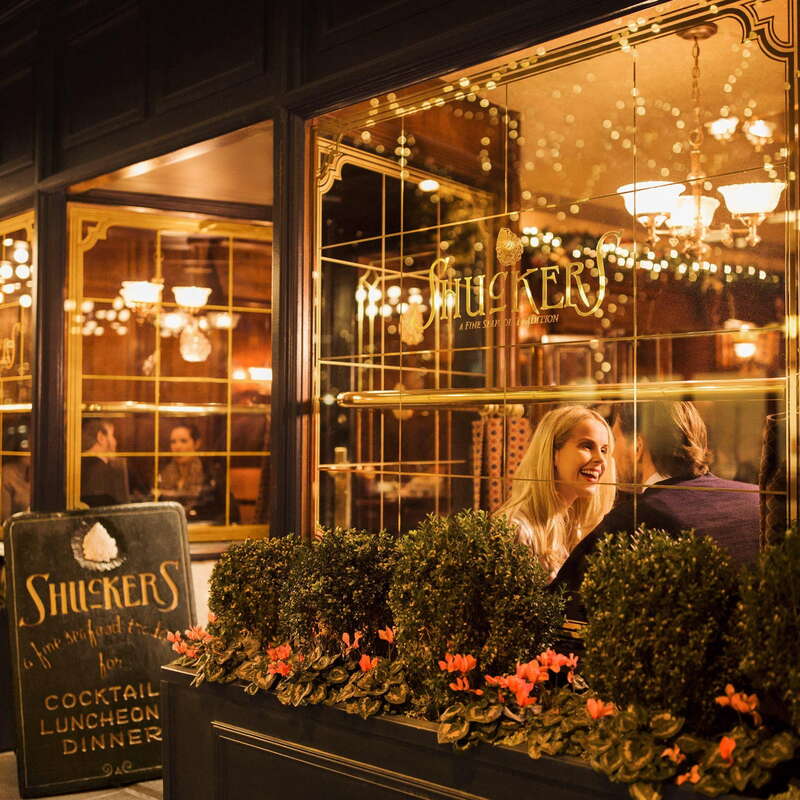 In an old-fashioned space that once housed a 1930s haberdashery, Shuckers Oyster Bar is a bustling restaurant with original carved oak paneling and a unique tin ceiling. 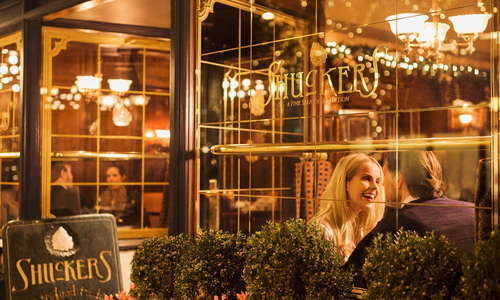 One of the city’s oldest and most upscale oyster bars, Shuckers’ menu focuses on seafood, such as whole-roasted Dungeness crab and chicken-fried trout. 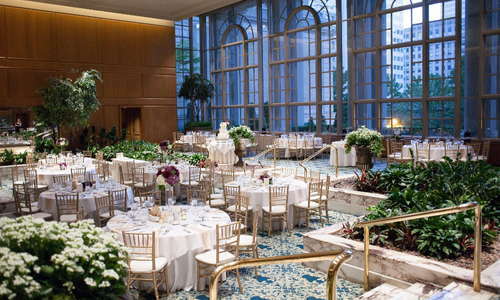 The Fairmont’s sophisticated The Georgian restaurant serves a traditional afternoon tea with finger sandwiches and a selection of sweets. 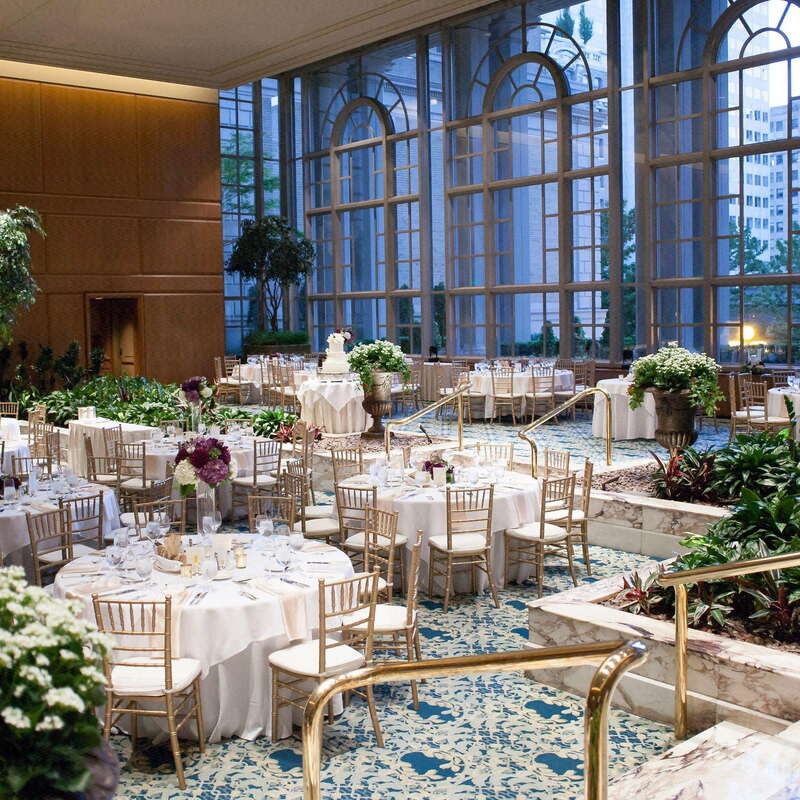 With high ceilings and large Palladian windows, it’s a pretty place to unwind. 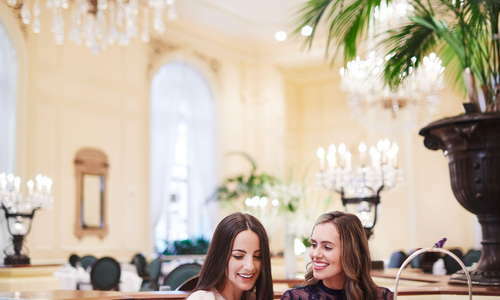 The Fairmont’s Terrace Lounge serves up classic cocktails and tasty nibbles, with live piano music Thursday through Saturday. It’s a 5-minute walk to the University Street light rail stop, which services Capitol Hill, University of Washington, and Sea-Tac airport. One stop past University Street, Westlake Center is a hub where you can connect with the Monorail to Seattle Center, bus lines servicing every corner of the city, and the South Lake Union Streetcar terminus. If you like waffles, you’re in luck. Sweet Iron Waffles offers both sweet and savory options--your call whether to eat them for breakfast or dessert. Always packed, Purple Café and Wine Bar is a visual stunner, with a staircase winding up around a towering wine display. Featuring an excellent wine selection and an extensive food menu made for pairing, it’s very popular, so reservations are recommended. A five-minute walk away, The Nest, a rooftop haunt at the top of the Thompson Seattle, features fire pits, creative cocktails, and drop-dead views of Puget Sound. The bar is a huge hit with locals and visitors alike, particularly on sunny afternoons and at sunset. For a more kid-friendly outing, try the 16-tap Old Stove Brewing in Pike Place Market, a 10-minute walk. 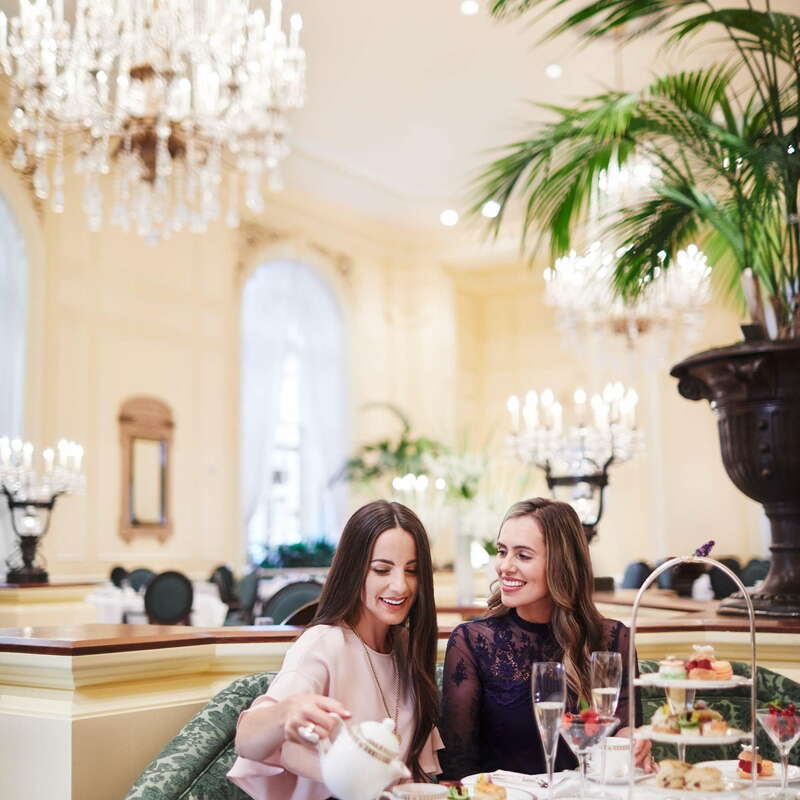 The iconic Fairmont-Olympic has everything a well-heeled traveler could ask for, from luxurious decor to top-notch amenities. 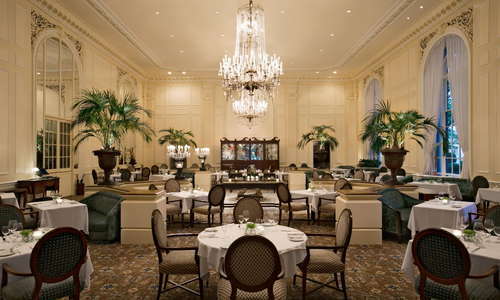 Service is impeccable at this grand dame of hotels, and the stately lobby calls to mind a glamorous bygone era. It's always a special experience.